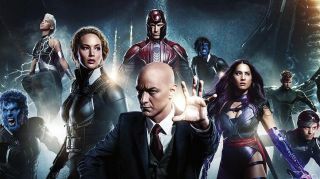 It’s been a long time coming, but it appears that the Disney/Fox merger, which would go some way to expanding the MCU exponentially, is on the verge of being completed. Aside from all the business mumbo-jumbo, here’s what it could mean for Marvel movies going forward – and when to expect a final decision. As reported by The Hill, the Justice Department has signed off on the deal bringing together the two mega-companies, paving the way for the likes of Deadpool, Fantastic Four, and the X-Men to make their bow in the MCU. But it’s not quite done and dusted yet. In fact, July 10 is the date we have to circle, circle and circle again on our calendars. Forget Thanos’ snap in Avengers: Infinity War, a fair few more comic book characters could go the way of the dodo in terms of the MCU thanks to suits raising their hands to say yay or nay. That’s because shareholders from both Fox and Disney are voting on that day (via Forbes) to decide the fate of the merger. An approval would open the floodgates for the MCU, effectively ushering in a new dawn overnight. So many characters would suddenly become available that Kevin Feige is going to seem like a kid in a candy shop with the embarrassment of riches laid out before him. Forget Phase 4 of the MCU, we’d probably need a whole ‘nother universe just to squeeze in the dozens of characters that could potentially debut alongside the likes of Robert Downey Jr.’s Iron Man and Chris Evans’ Cap. But, most of all, I really, really want an Avengers vs. X-Men movie – and it might become a reality thanks to the DOJ. 2018 is weird. For now, this is the full list of new Marvel movies on the way. After July 10: who knows?